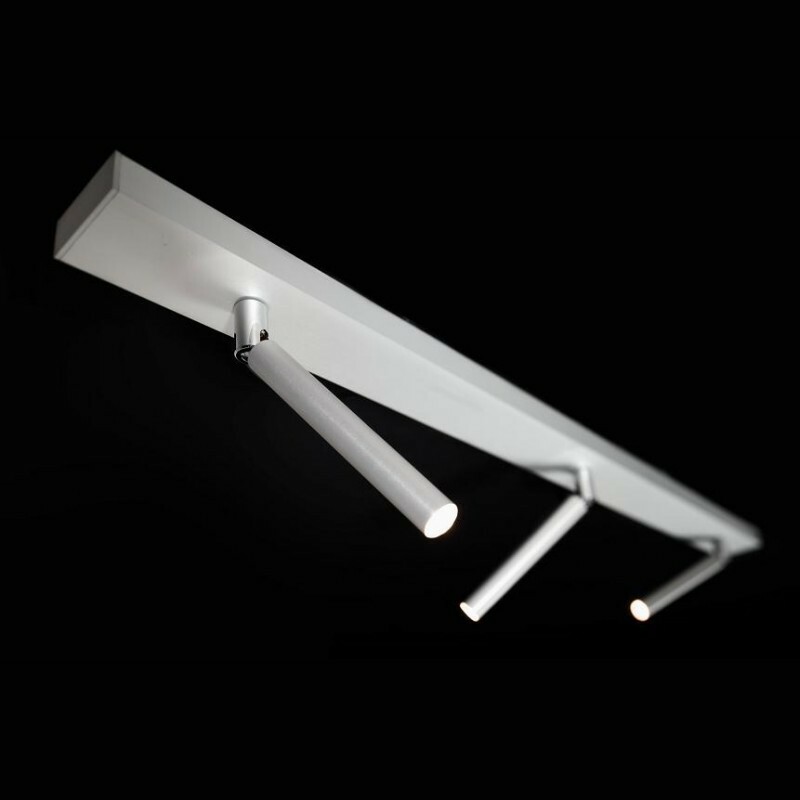 The Ecco LED Spot Trio is a modern and functional ceiling light made by LDM. The lamp made of aluminum consists of a holder and three luminous bodies. These are each adjustable by 90 ° and equipped with powerful and energy efficient LED. The lamp is available in five color variations and can be customized to your own taste. The Ecco LED Spot Trio comes with three lens attachments through which the light effect of the light can be adjusted individually. So beam angle of 15 °, 25 ° and 43 ° are possible, whereby the Ecco LED Spot Trio may serve as target Gerichter and strongly focused spot or able to provide a larger area lighting. Through its simple but elegant design and high efficiency is the Ecco LED Spot Trio Ceiling Lamp by LDM the perfect addition for any residential and business area and can get put through their good luminosity accents.